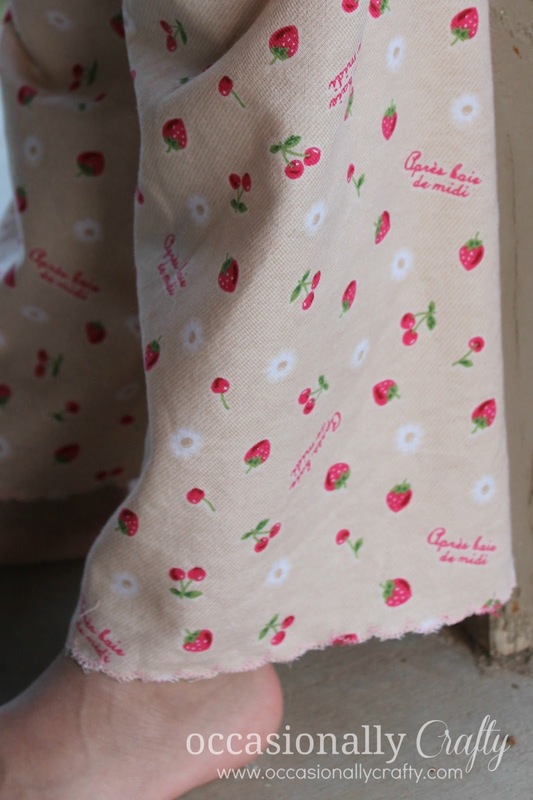 This month, our sponsor Wholeport Crafts, sent me, among other things, some adorable strawberry stretchy cotton fabric. I knew it would be perfect for some summer pajama pants for my daughter. She loves to wear pajama pants and a t-shirt, but all she has are pants made of fleece. 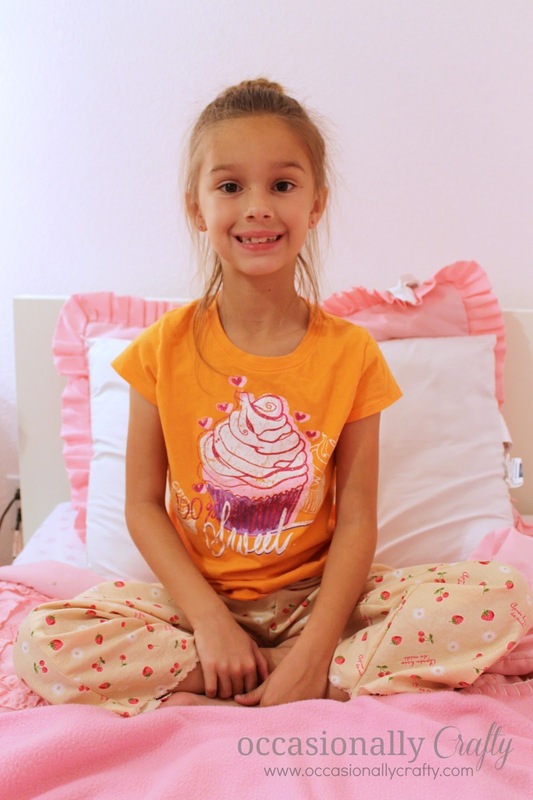 So, using this tutorial from My Cotton Creations, I made her these lightweight comfy pants. My favorite thing is the detail on the hem. Rather than doing a ruffle, as mentioned in the tutorial, or a standard hem, I did a scallop stitch all along the bottom of the pant leg. Then I just trimmed the fabric close to the stitch without cutting through the threads. A tiny bit of fraying may still occur, but it will stop at the scallop stitch. It's a cute and easy way to add a feminine detail to anything. I'm pretty sure my daughter loves her new pajamas! I'm linking this up to Wholeport and some of these parties. Remember to check out Wholeport for pretty much any crafting supplies you need! Package Pals Exchange at C.R.A.F.T. Easter's Over! Now how do I decorate?